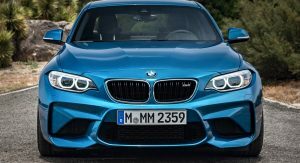 BMW’s smallest Motorsport-branded automobile is upon us, and it comes with all the heritage and expertize the German car manufacturer acquired over its illustrious history. 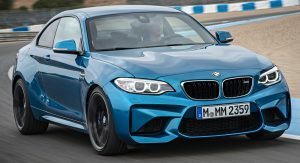 Being the entry-level M-car, the new M2 won’t even try to outshine it’s bigger and angrier siblings, but instead, will focus on the job left vacant by the now-legendary 1 M model. 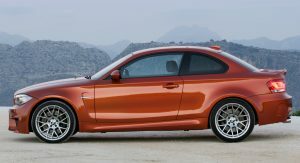 Speaking of which, the 1 M Coupe stunned BMW purists when it rolled off the line, mainly because it was very reminiscent of the original, iconic, mythical E30 M3, and it seems that the new model isn’t far off either. 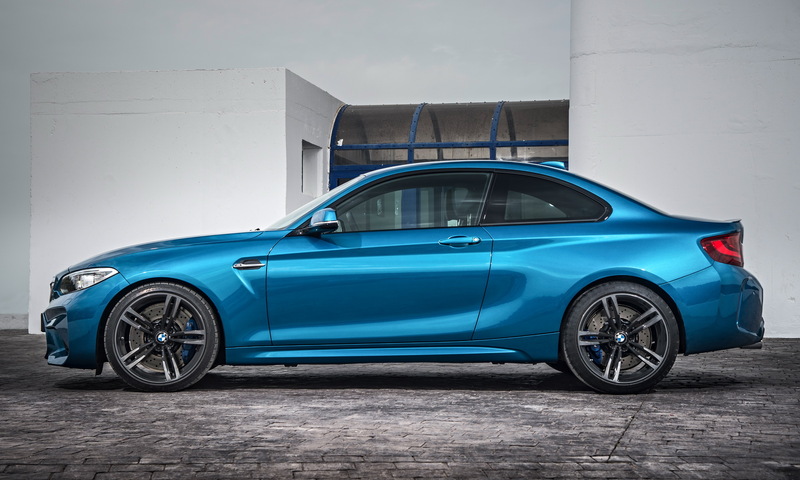 Of course, the M2 is the natural development of BMW’s compact coupe, being undoubtedly a design evolution, rather than a revolution. 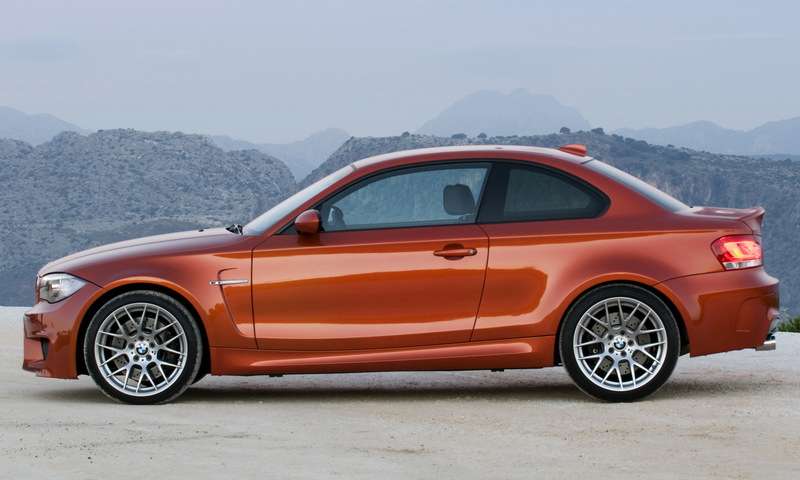 Still, that doesn’t mean the two models are like two drops of water. 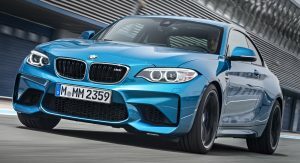 Yes, the cars share the same race-hungry DNA, but time made each model sport a unique approach to the Motorsport philosophy, coming up with slightly different answers to a common assignment. 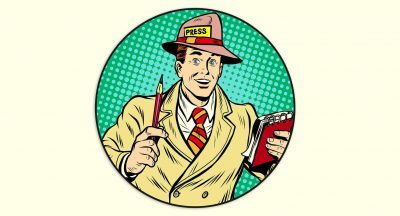 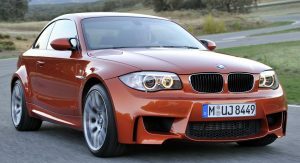 What was considered aggressive in 2011, now passes as tamed and timid, especially when compared with the bloated, zealous M2. 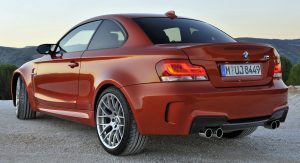 Style-wise, it remains a matter of choice, as both cars are inflated versions of two different models. The new 2-Series coupe looks more aggressive than the discontinued 1-Series coupe, so expect a much bolder design from the M2 as well. 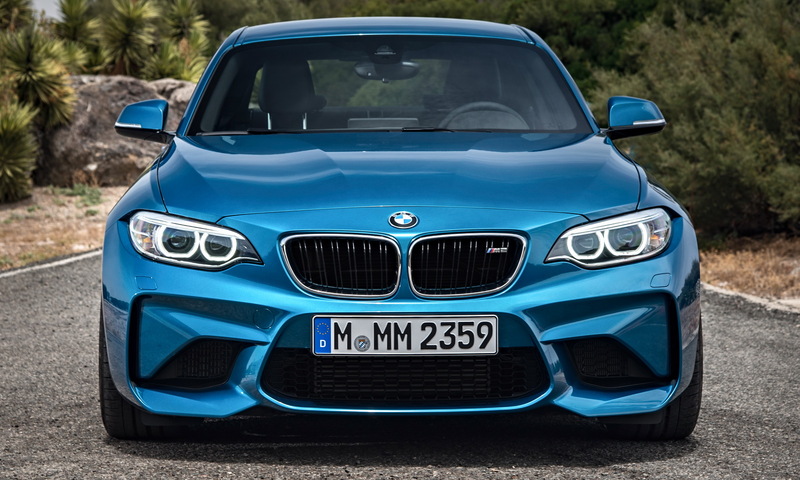 Actually, from the front, the 1 M’s visual cues (the nostrils, hood-line and headlights) drop downwards, whilst the M2 exhibits arched lines towards the upper extremities. 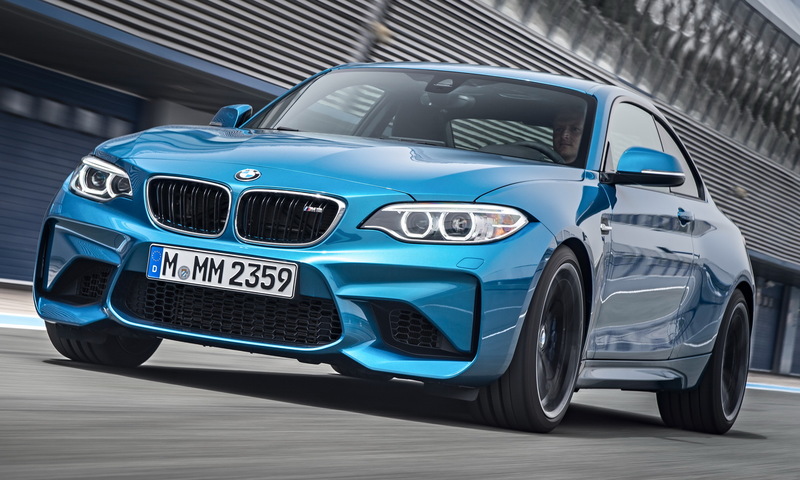 The M2’s front bumper is obviously a bigger, meaner variant of the one found on the old model, and it actually appears to mirror the aerodynamic appendages within the slits, sporting them above the actual vents. 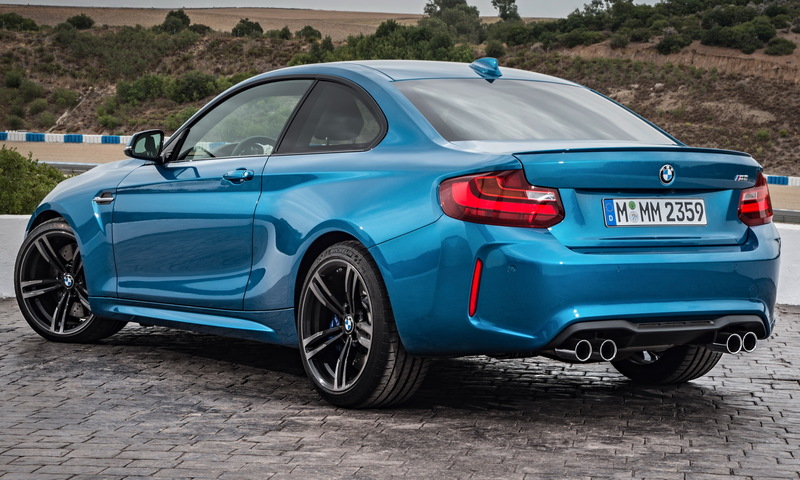 Mind you, although the differences are minute, the M2 is wider, longer and shorter than the 1 M, but its beefier looks make it seem more compact. 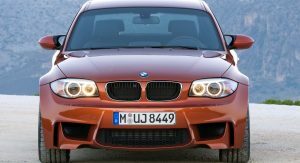 Even the windshield appears to be narrower. 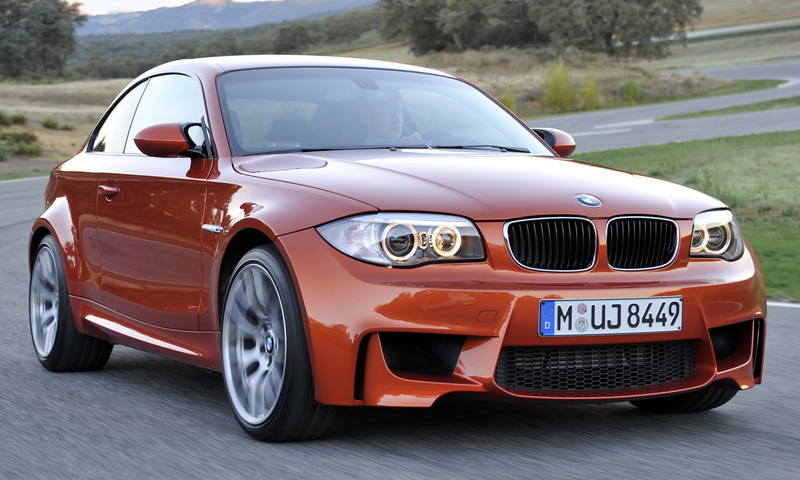 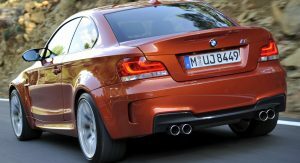 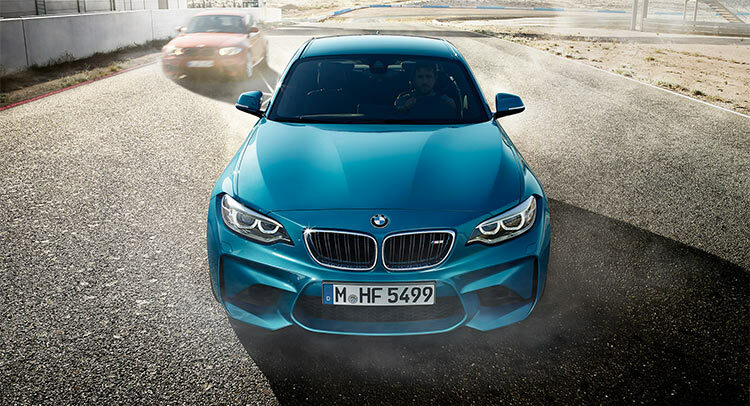 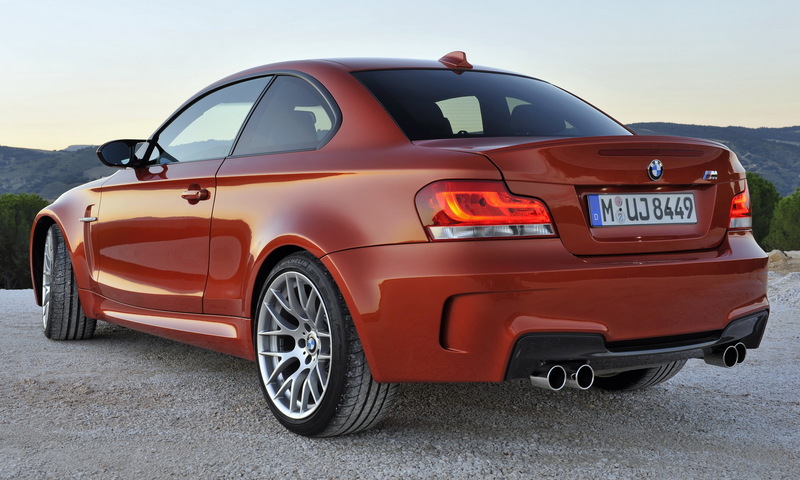 If you compare the two models from the side, you’ll notice that the 1 M Coupe has a more notable rake, while its fender vent – which is continued with a subtle style cue towards the rear fender – is much larger and opposes the one on the M2. 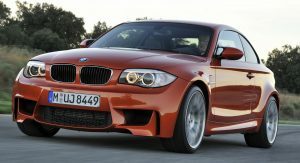 Coming at the back, it’s hard to beat the 1 M’s design, although the M2 tries diligently. 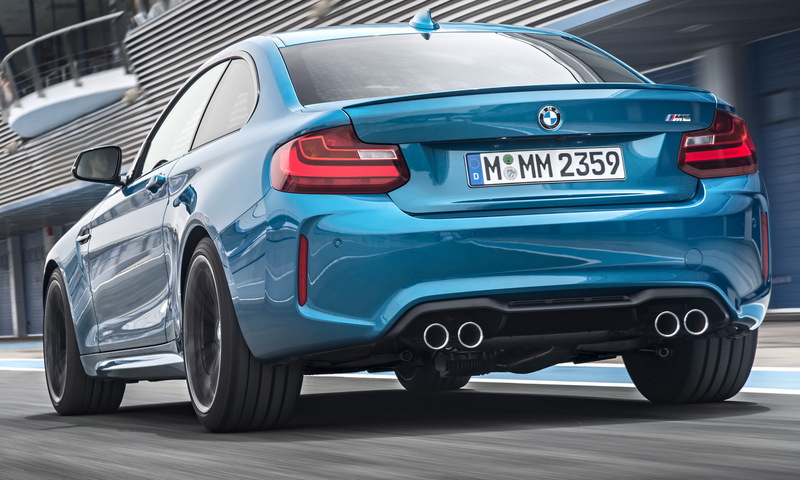 Both cars sport quad-tailpipes, diffusers and similar design cues, as even the taillights are alike. 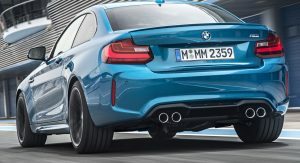 Albeit the M2 has lost the brake-light above the BMW logo and the rear bumper vents, there’s nothing else separating these two. 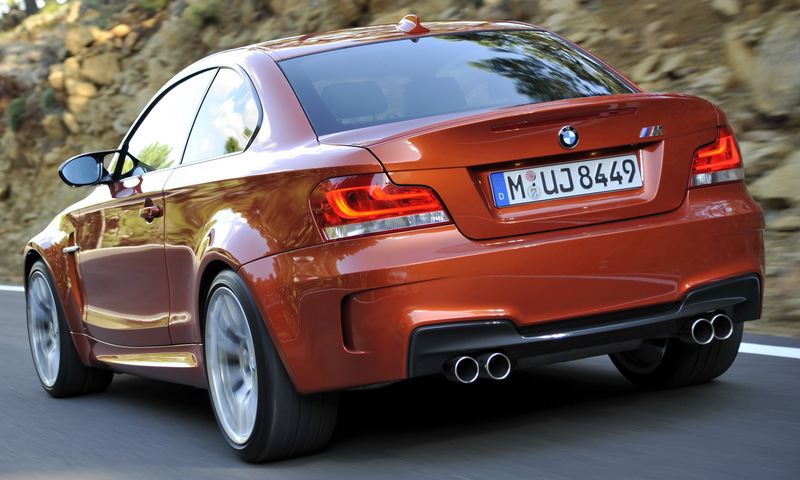 Maybe the 1 M has a more protruding integrated boot spoiler, but that’s about it. 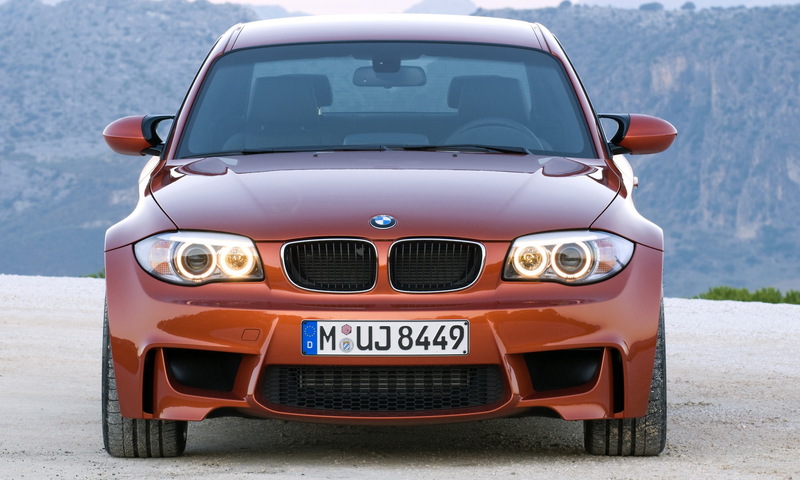 Usually, time takes a toll on a car, but it seems that the 1 M remains a relevant machine. 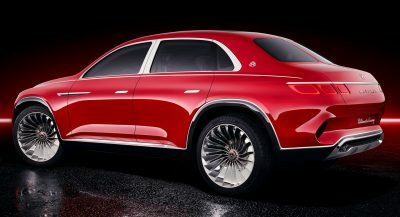 That is until you get to the interior. 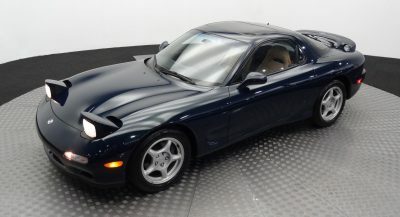 Don’t get me wrong, it’s not bad, but it does look outdated compared to the one in the newer model. 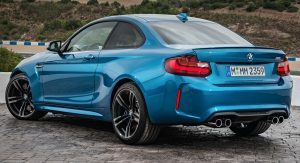 Its simple ambiance is usually a desirable trait in a driver-focused car, but nowadays an automobile (even a sport-oriented one) must fulfill multiple functions. 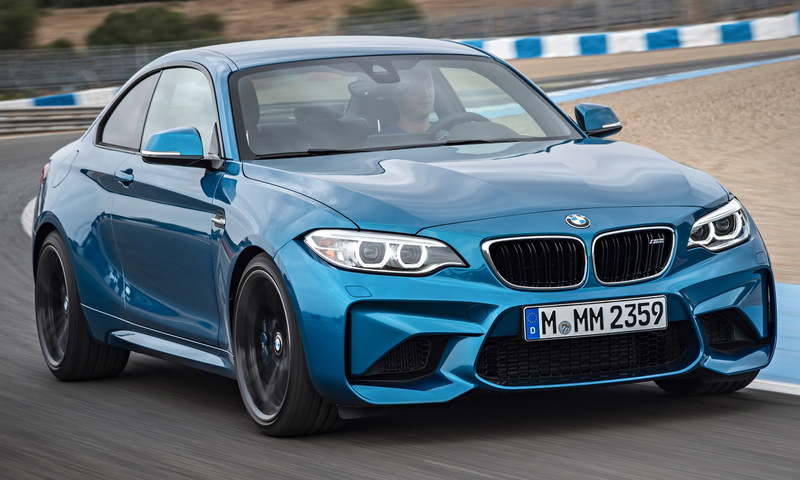 The M2 has a wider center console, noticeably tilted towards the driver, while the infotainment screen isn’t integrated in the dashboard anymore (bringing the whole design a little lower). 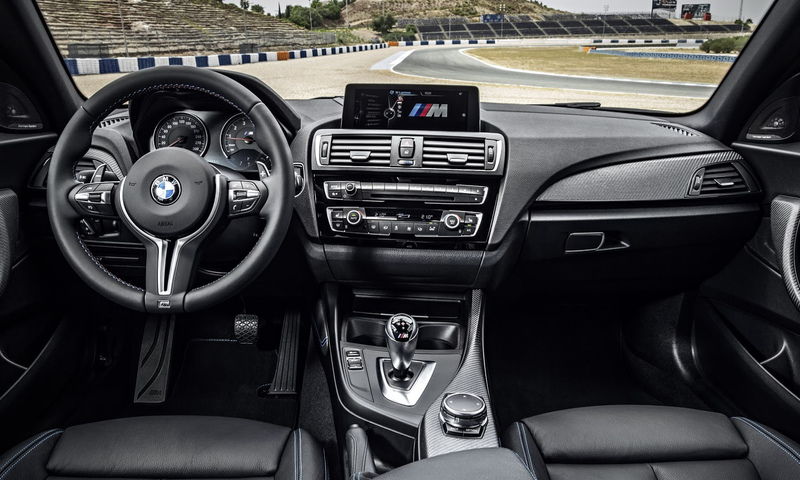 Speaking of dashboard, the cluster now has a more dynamic, 3D format, while the three-spoke steering wheel looks modern and fresh, beautifully disguising the airbag. 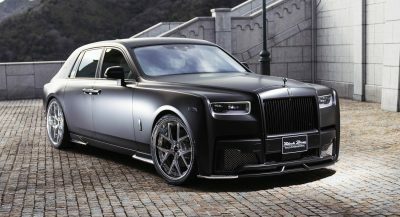 So, there isn’t a right or a wrong answers when it comes to these two stunning automobiles, but for the argument’s sake, which one would you choose? 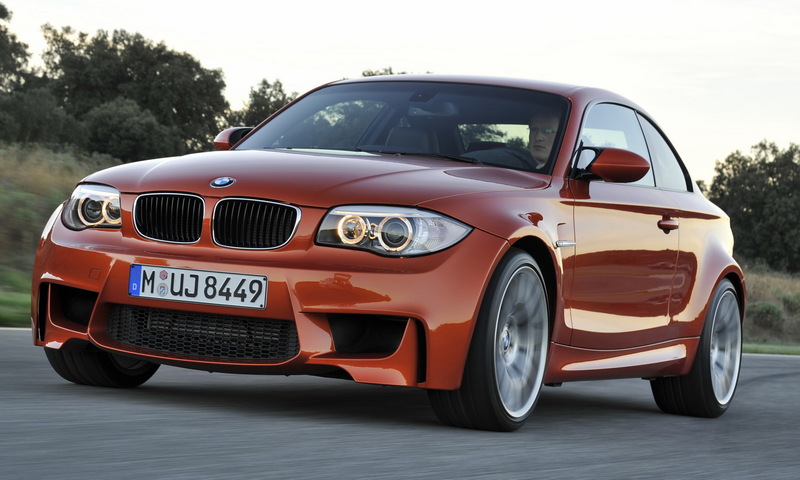 Poll: Which compact high-po BMW tickles your fancy?